The occasion of World Environment Day gives us yet another opportunity to reflect on the state of our planet from both global and local perspectives. Its an appropriate occasion to shore ourselves up for the biggest common challenge we face today  climate change and its adverse consequences, especially to the vulnerable and the marginalized populations. On this day, I would like to draw your attention to another emerging challenge in the HKH region: that of air pollution, particularly black carbon. Black carbon is a health hazard, meaning it can cause cancer and other respiratory diseases. It is also a short-lived climate pollutant  an air pollutant that has significant impact on local and regional climate. Unfortunately, the HKH region lies in close proximity to the major source of black carbon in the plains downstream. Sources of black carbon are unclean diesel fuel, fires, and brick kilns. Black carbon contributes to the melting of glaciers and snowfields, warms the atmosphere at higher elevations, and cools it at lower elevations, thereby affecting atmospheric circulation patterns. It also reduces visibility and contributes to changes in monsoon clouds and in the timing and intensity of rainfalls, with potentially significant impacts on droughts, floods, landslides, hydropower, agriculture, and drinking water availability. Therefore, developing and adopting effective air pollution policies has become urgent today. These policies must address ways to reduce black carbon and must encourage detailed scientific understanding of the links between sources and impacts of air pollution. 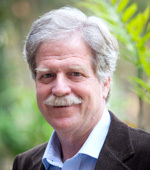 However, effective policymaking at the local and national levels requires detailed maps of emissions sources, atmospheric modeling systems that simulates the fate of emitted pollutants, connecting sources to impacts, as well as a network of measurement stations that provide real-time data to the public and policymakers and inputs to atmospheric models. It also requires free flow of data across borders, and regionally coordinated responses to high air pollution episodes. 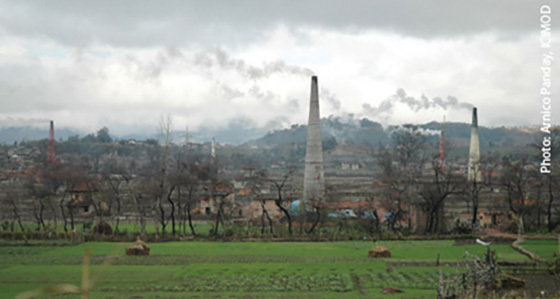 Ultimately, cleaning up the polluted air in northern South Asia and reducing its impacts on the HKH region requires a strong push towards cleaner, less polluting technologies, including clean cooking, clean brick production, and clean transportation. This years World Environment Day, with the message 'Raise Your Voice, Not the Sea Level, is dedicated to the Small Island Developing States (SIDS) and the varied multi-dimensional challenges they are confronting in the face of global climate change. Therefore, ICIMOD joins the UN and other world bodies, including countries and communities, to raise timely voice for SIDS and the need for a collective global action. With best wishes on the World Environment Day.